Distributor deepens accessories portfolio in New Zealand. Ingram Micro has signed an exclusive distribution deal with Belkin, deepening its accessories portfolio in New Zealand as a result. "Belkin has one of the broadest ranges of accessories and connectivity solutions available today for smart phones, tablets and personal computers,” Ingram Micro New Zealand managing director, Gary Bigwood, said. “Whether it be at home, in the office, on the road or anywhere you need to connect, there is almost no area of day-to-day life that can’t be enhanced with a Belkin product. “That’s why we are seriously delighted with the opportunity to work so closely with Belkin to expand its reach in the New Zealand market. 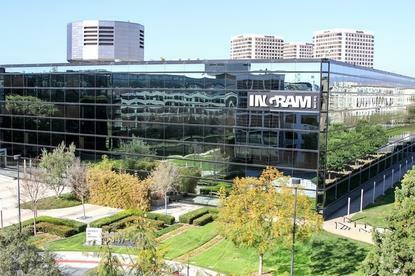 “As the exclusive distributor, Ingram Micro can concentrate on delivering the full range of Belkin products and supporting our resellers to further develop and expand the market. The new exclusive distribution agreement is effective immediately, with Ingram Micro taking control of the full range of Belkin products available for all its reseller partners. “Ingram Micro’s channels in the New Zealand market are both wide and deep, enabling us to continue to expand our presence and further grow our market share,” Belkin managing director Australia and New Zealand, Stephanie Ogden, added. “Recent global announcements, including the iPhone 7 launch, have continued to showcase our ability to quickly deliver innovative, high-quality solutions to market.